Looking for a cheap and easy dulcimer capo I tried this combination of small clamp covered in a bit of vinyl hose (thank you, home brew!). 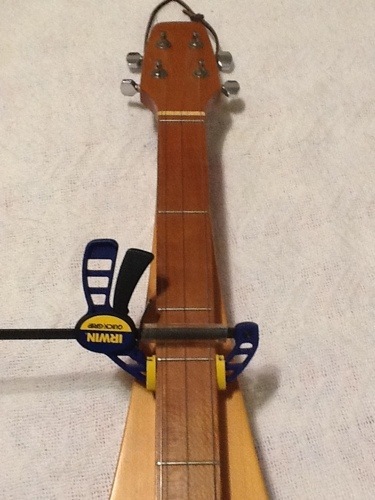 It mostly works…until I play too hard and the clamp just doesn’t have enough tension to hang on. Just registered for THATCamp Alabama in early August. Looking forward to geeking out in Tuscaloosa.